Precision Power TRAX1.3000D. 2-Ohm Stable Monoblock Operation. 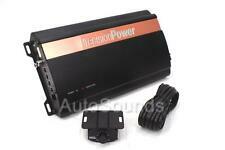 3000 Watts Peak Power, Monobl ock Car Subwoofer Amplifier. Direct Short, Thermal, & Overload Circuits Protect Amplifier. Precision Power is proud to introduce the newest generation of amplifiers, TRAX. 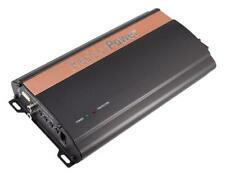 PPI 2360 Car Amp 2-Channel 2360 Watts *Works Great*. Condition is Used. This amp has some cosmetic where as you can see from the pictures provided. It works perfectly with no issues and sounds great. Bed with confidence you will be satisfied! I only ship to the continental US. PayPal only. 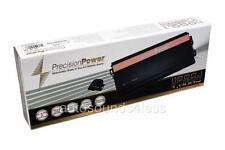 Precision Power Black ICE Series ICE2600.1D. Precision Power Black Ice Series ICE2600.1D. Class-D 1-Ohm Stable Monoblock Amplifier. 2600 Watts Peak Power, Monobl ock Class D Car Subwoofer Amplifier. Total power output: 2600 watts. Precision Power iON Series i650.1. iON Series Monoblock Class D Car Amplifier. 650 Watts RMS, Monobl ock Class D Car Subwoofer Amplifier. 4-way protection circuitry (thermal, overload, and speaker short protection). Precision Power TRAX1.2000D. 2-Ohm Stable Monoblock Operation. 2000 Watts Peak Power, Monobl ock Car Subwoofer Amplifier. Direct Short, Thermal, & Overload Circuits Protect Amplifier. Precision Power is proud to introduce the newest generation of amplifiers, TRAX. Precision Power iON Series i1000.1. 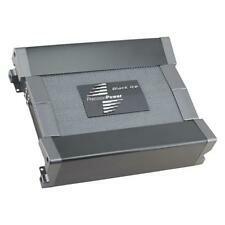 1000Watts RMS, Monoblock Class D Car Subwoofer Amplifier. iON Series Monoblock Class D Car Amplifier. 4-way protection circuitry (thermal, overload, and speaker short protection). 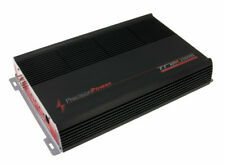 TRAX1.1200D - Precision Power Monoblock 600W RMS Class D Amplifier. Precision Power Trax Series TRAX1.1200D. Class-D 2 ohm Stable Monoblock Amplifier. 1 ohm: ------------N/A------------. 3-way protection circuitry (thermal, overload, and speaker short protection). Includes a free amplifier installation kit!!!! Precision Power Black ICE Series ICE1300.1D. Precision Power Black Ice Series ICE1300.1D. Class-D 1-Ohm Stable Monoblock Amplifier. 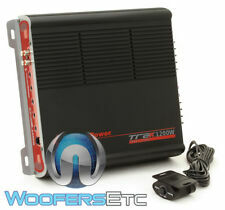 1300 Watts Peak Power, Monobl ock Class D Car Subwoofer Amplifier. 3-way protection circuitry (thermal, overload, and speaker short protection). 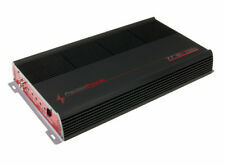 ICE1300.1D - Precision Power Monoblock 1,300W Max Class D Amplifier. 1-Ohm Stable Class D Monoblock Operation Amplifier. Direct Short, Thermal and Overload Circuits Protect Amplifier. 12dB Bass Boost Increases Low Octave Harmonics. 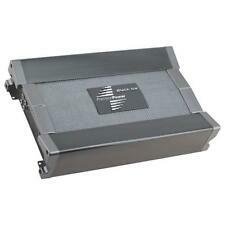 13 00W Monoblock Amplifier. Also works great in Marine and ATV applications when not exposed to direct water. 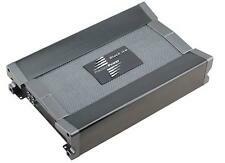 Black Ice Series 1,300w Class D Monoblock Amplifier. 1-Ohm Stable Class D Monoblock Operation. This is mono and 2ch and 4oh. 100% working.